As promotional gifts Richartz branded products are most attractive and useful to develop and strengthen customer relations. In this field, Richartz has already worked with most profound knowledge and experience for decades. The Richartz´ strength is to create products and concepts in different custom designs, price levels and qualities. For your information we have chosen some case studies of most successful and unique products being manufactured for leading brands. Products for the Mercedes-Benz Collection always symbolize the high functionality and the modern design of Mercedes-Benz. 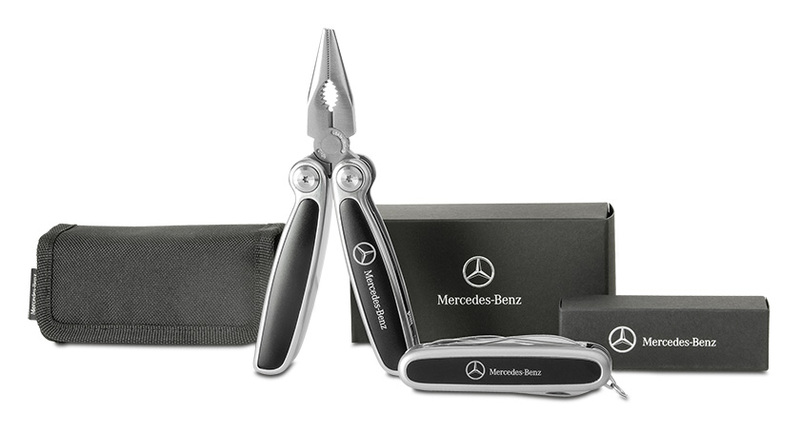 Two Richartz products, a high quality tool and a pocket knife have been laser engraved with the Mercedes logo on the matt black aluminium handles. The high quality gift packaging underlines the clear and modern image of the Mercedes-Benz Collection. Audi, one of the most successful German manufacturers of premium cars, offers life style products in their Audi collection, which are defined by “Vorsprung durch Technik”. These accessories are not only designed in the style of Audi, but they also symbolize the innovative capability and progress of the Audi brand. 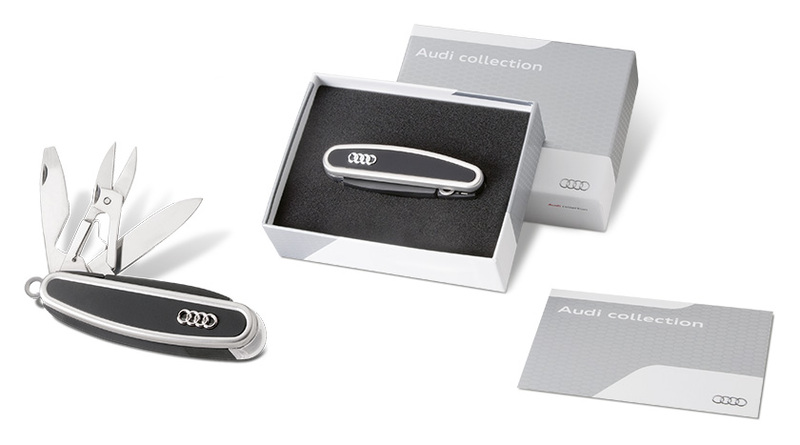 Having this in mind, Richartz and Audi design developed a pocket knife, which combines the functionality of a high-quality knife with an innovative LED light. This feeling for precision makes this accessory even more unique, when you see the perfect design supported by the quality of the materials. 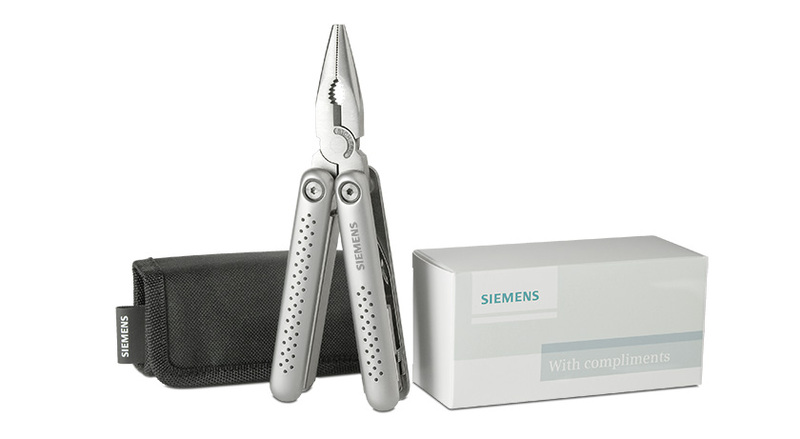 As an international company with a high level of quality and perfect functions, Siemens looked for a multi-tool, which at the same time should be more innovative and attractive in function and design than any other standard model in the market. 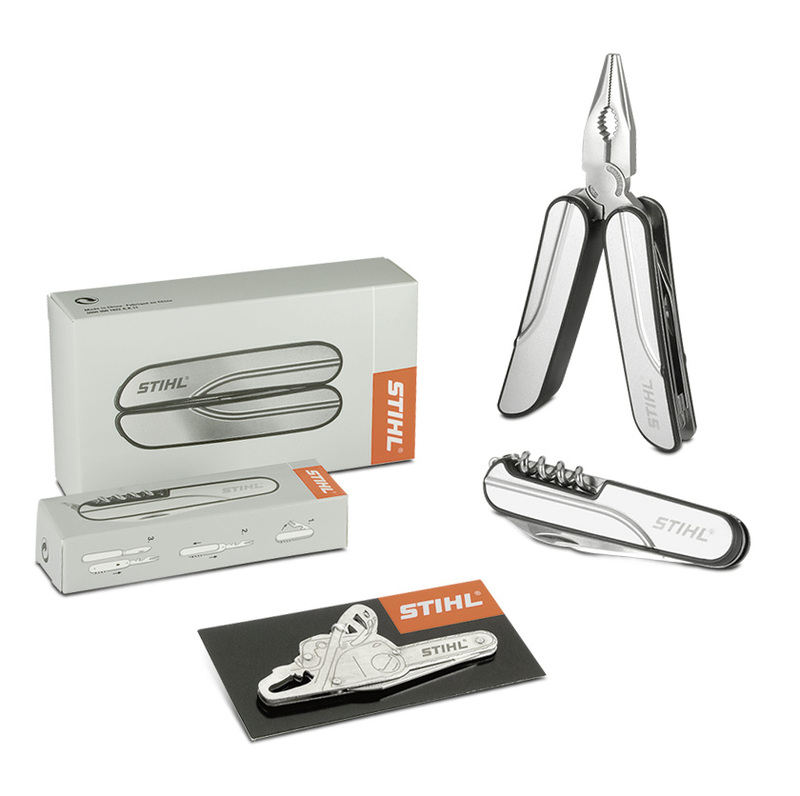 The successful Richartz multi-tool STRUKTURA classic was chosen for the promotional gift line. By laser engraving the Siemens logo on the stainless steel handle and by printing the logo on the belt, the Siemens brand is perfectly shown. The high-quality gift box supports the perfect style of this unique promotional gift. Highest functionality and the straight, modern design were the requirements for the MAN Merchandising Collection. Two Richartz products matched perfectly by design; a high-quality driver´s tool and a multi-functional card. Both products are branded with MAN either with a laser engraving on the black anodized aluminium handles or with a precise embossing on the metal surface. 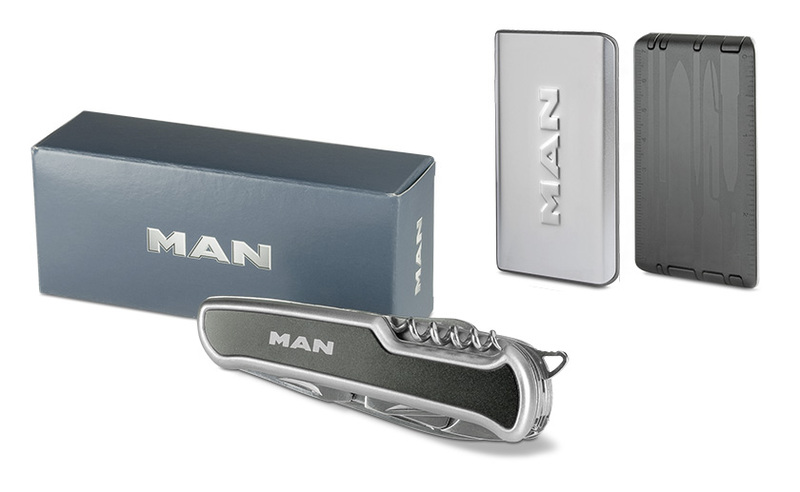 The high-quality gift boxes perfectly show the modern style of the MAN Merchandising Collection as well. Stihl, not only famous for high-quality chain-saws, searched products, which appeal the target group by function and straight design. In addition to a tool and a pocket knife in modern, distinct design a contour punched pocket knife with blade was developed, which can be used perfectly as give-away. Attractive gift packagings were realized for all products.